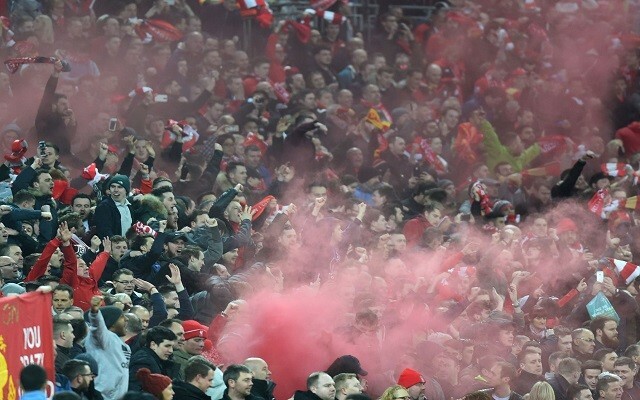 One of the sad facts of the Liverpool vs Man Utd games is the minority of fans in both sets of supporters who chant vulgar songs at each other. Hillsborough, Heysel, Munich, it’s all on show. Chanting is a vital part of the game and is one of the best ways to build the atmosphere in a stadium, but mocking dead people isn’t cool. Compassion over these issues should transcend football, not be a stick to beat each other with. Now Liverpool and United have issued a joint statement ahead of Monday’s game at Anfield, imploring both sets of supporters not to raise such distressing topics inside the ground. “There is great rivalry between our fans and we ask all supporters to be respectful and help eradicate all forms of offensive and discriminatory behaviour from the game. What hope do we have of this statement making a difference? Could this game be the first one where both sets of supporters behave themselves for 90 minutes? Unlikely, but we can all live in hope. Are you going to the game? Let us know your thoughts.